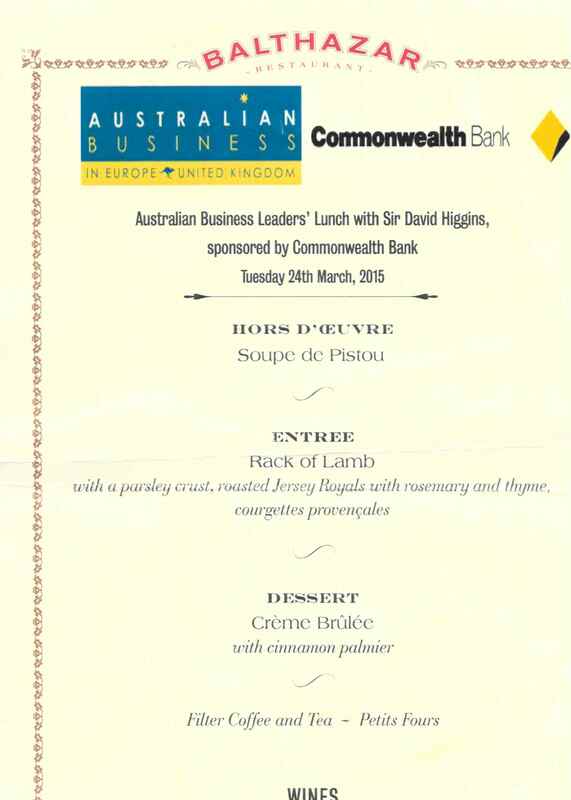 Last week I had the pleasure of attending an Australian Business Leaders Lunch put on by Australian Business In Europe and the Commonwealth Bank. To say it was a worthwhile experience would be an understatement. It was a great chance to meet and network with a number of prominent and influential Australian business people in Europe and to meet a number of senior executives at some significant Australian businesses that have offices based in London. Although the lunch was a relaxed affair as with any of these types of lunches there were a number of guest speakers. In particular there were two primate Australians, namely Alexander Downer the former Australian Foreign Minister and the current Australian High Commissioner to the UK as well as Sir David Higgins the Chairman of High Speed Two (HS2) – the company responsible for developing and promoting the UK’s high speed rail network – and previously responsible for the delivery of the 2012 London Olympic Games. Alexander Downer spoke about a number of issues and the focus of his current role. Primarily he stressed the importance of Australia continuing to have close business relationships with the UK, despite Australia’s growing business reliance on China and India for trade. He noted that the relationship between Australia and the UK had changed over the years and that the UK had gone from being Australia’s largest trading partner to at present being the 7th largest trading partner. However Alexander Downer did stress that despite this drop the UK was still the 2nd largest source of direct foreign investment in the country and it was imperative that this was maintained and managed effectively. In term of the industries he pinpointed Infrastructure as being a key way of doing this. That developing and opening collaboration between the countries and businesses in this area was essential for both countries. Sir David Higgins in his address continued along this vein. He noted in recent years his career had focussed on developing and managing infrastructure projects and he stressed the potential infrastructure projects can have in regenerating deprived areas. This he said was a key element in obtaining additional funds for building the infrastructure required for the London 2012 Olympics and which ultimately resulted in the regeneration of parts of East London. Regeneration was also seen as a significant benefit in delivering a high speed rail network. he commented that it provided a chance to redress some of the imbalances between London and other parts of the country. Whilst the logistics and plans for the project where not covered in any great detail the example given was that the time taken for a trip between London, Birmingham & Manchester would effectively be halved. Therefore this may start to address some of the imbalances between London and outside London. These examples were best represented by the fact that the Top 100 listed companies by value on the London Sock exchange had their headquarters in London, that for every £1 spent outside of London on transport networks there are £10 spent in London and the significant difference in property values between London and the vast majority of the UK. When questioned about his thoughts on infrastructure in Australia, like in the UK, he again stressed the importance of continued development. In particular he said Australian cities needed to ensure they develop road and transport links in cities such as Brisbane, Melbourne and Sydney especially as they grow. He also credited Perth as a city that had made the most progress in regards to this. 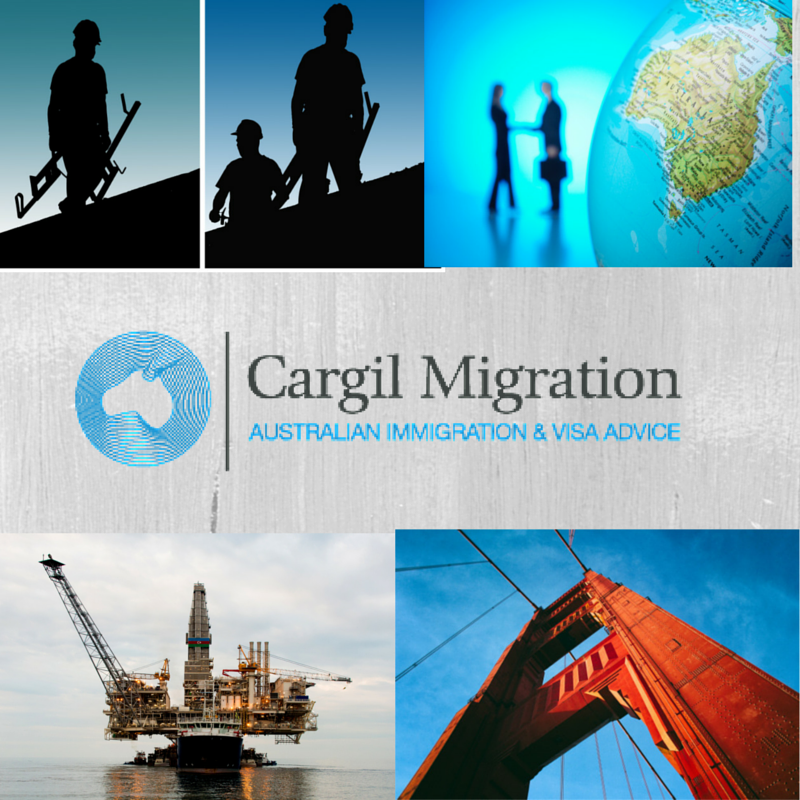 From an Australian immigration perspective his comments reflect what we have seen in immigration policy over the last decade and more. That the infrastructure industry and those associated with it were in continual demand and will remain so for the foreseeable future. This has been reflected in my experience since 2002 whether working in either individual or corporate immigration. Along with healthcare, IT and professional services I have assisted and advised more engineers, tradespeople and businesses associated with the infrastructure industry – such as infrastructure investment companies – than any other. It seems that it still proves to provide opportunities all over the world whether as a skilled individual, business owner or investor.